As 24 Public Service Obligation (PSO) bus services, operated by Go-Ahead Ireland are rolled out between now and January 2019, we wanted to let you know what will be different about these services compared to those operated by Dublin Bus, and what will be the same. The first of these routes, the 175, will become operational next week. 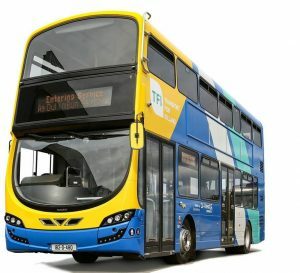 Go-Ahead Ireland vehicles and Dublin Bus vehicles will operate with their own colour scheme, although both will be similar at the front which is yellow in both cases (see picture above). 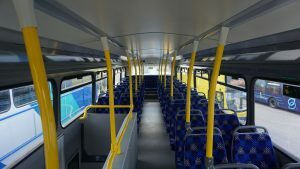 Inside the bus, the seats will be a different colour (see picture below), although poles are yellow in both Go-Ahead Ireland vehicles and Dublin Bus vehicles. Bus stop poles and information carousels will look different depending on the operator (see picture below). 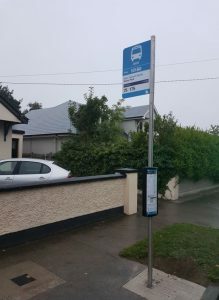 Over the coming months as Go Ahead Ireland begins operation of their routes, customers will notice new bus stops being installed. This will be done in advance of the switch over and they will have stages, routes and timetables clearly marked on them. What is changing on all bus services in Dublin? 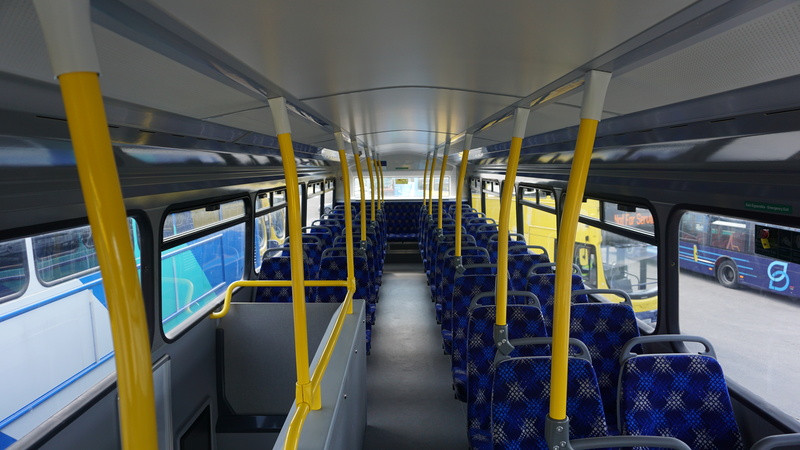 One of the key objectives of the BusConnects programme for our city bus services is to remove cash from the buses. This will speed up boarding the buses and reduce journey time for all customers. So we want to continue to encourage more people to use Leap Card by having the cash fares significantly higher than the Leap Card fares. The next step in this NTA programme which is being introduced from 9th September on Go-Ahead operated services and 10th September on Dublin Bus operated services is that Exact Change is being encouraged for Cash Fare payments. From next week, if you tender more cash than the cash fare requires, you will receive a receipt to show that payment however that change will no longer be recoverable from operators. The additional cash will be retained by the NTA and Dublin Bus and a proportion of those funds will be used for charitable purposes with the remaining proportion funding improvements to public transport services for all.